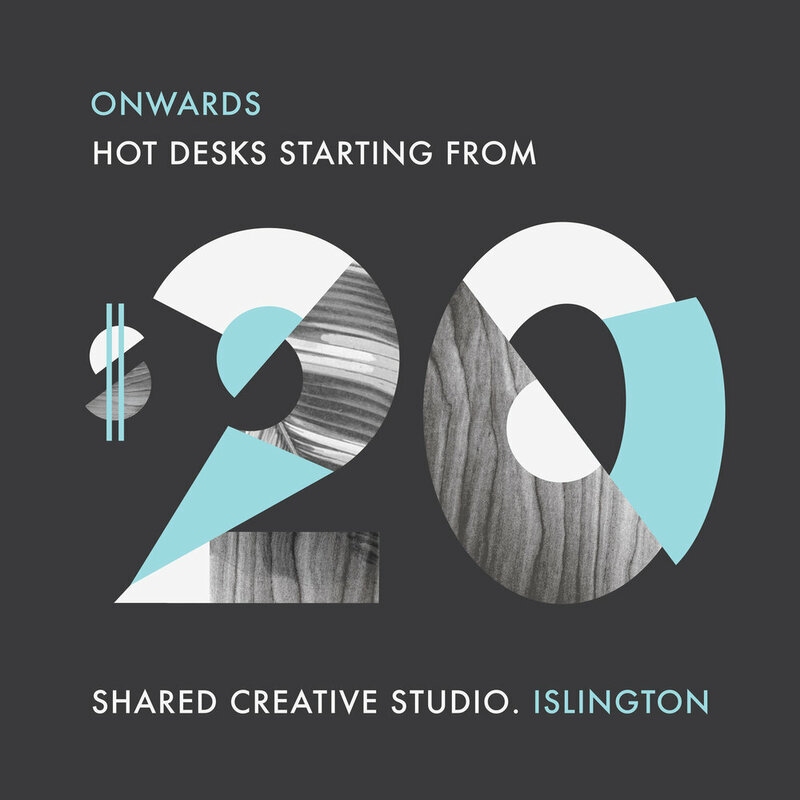 Onwards provides a comfortable environment to connect with a large community of artists, designers and makers. We're focused on being an energetic studio aiming to support local, national and international artists through exhibitions, creative collaborations and live music nights. Access to a dedicated desk for exclusive use. Priority on use of meeting table upon notifying other tenants with booking. Desk, lamp and storage cabinets provided. 24/7 access with keys allocated. Drop off and pick up drive way access. No parking. Free parking one block away. for exclusive use to be fitted out by tenant. Minimal storage on walls provided. Clean up sink for brushes and equipment. is present or arrangements have been organised. Less priority on meeting table. All possessions to be taken out of the space at the end each day unless multi-day booking is made.